Get a Lifetime VPN Subscription for only $39! The ideal browsing experience is equal parts freedom and security—access any website and use any service, without sharing any personal information with hackers. If you ever use public Wi-Fi, that means you need a VPN service. And now's your chance to get a lifetime subscription to proXPN for $39 at Techlicious Deals, a savings of 89%. Your lifetime subscription comes with easy setup and unlimited traffic bandwidth, so you can get started right away and browse without lags. proXPN will secure your Wi-Fi connection as soon as you get online, masking your IP address and encrypting your browser. Not even proXPN logs your activity, leaving you completely untrackable. And if your connection drops, VPN Guard will be on top of it, automatically shutting down any program you choose. Outside of the United States? Browse almost anywhere in the world as freely as you would at home—proXPN unblocks geo-restricted content like Hulu and Netflix. 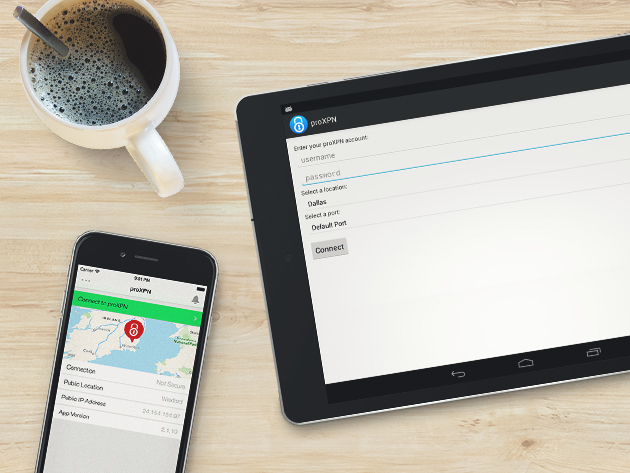 Grab a lifetime subscription to proXPN for 89% off while we've still got it—it's just $39 at Techlicious Deals.